IFARLE´s permanent staff includes more than 40 professionals and technicians working in three departments. Each department, with capabilities to develop engineering projects integrally, is managed by a partner with more than 30 years of experience in consulting. Organization includes senior engineers, project engineers, architects, civil contractors, CAD designers, and secretaries . The team is complemented with the advice of Specialists in Soil Mechanics, Electricity, Control & Instrumentation , Structures, Lawyers, and Accountants. 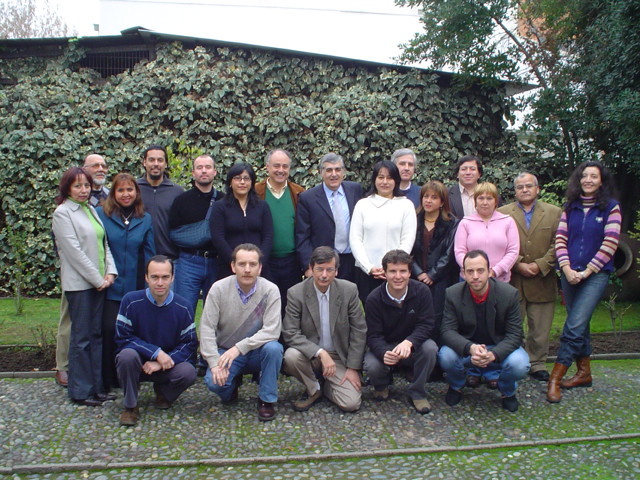 IFARLE´s actual partners have worked together since 1976. The firm has 50 years in the market, being the most experienced consultant in the field of Hydraulic, Sanitary & Environmental Engineering in Chile. IFARLE has frequently teamed with notable international partners or formed joint ventures when outside expertise from Europe or the United States was beneficial for specific projects or services. Such partners have included Tahal(Israel), Parsons(United States), Jason Consultants(UK), Lahmeyer International (Germany), and Sainco (Spain). We maintain relationships with such firms and can access individual experts in various key related technological areas such as odor control facilities, anaerobic digestion for energy production, desalination, membrane technologies, and other advanced and innovative techniques. We maintain active memberships and journal subscriptions in key international technical societies such as American Waterworks Association, Water Environment Federation and Water Science & Technology, attend and participate in technical conferences to make sure our projects are based on the most appropriate technology.